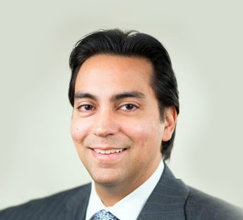 Ravi Malhotra is Managing Director of Accenture Strategy’s Insurance practice for the Asia Pacific region. He is based in Sydney, Australia. He has spent most of his career helping leading insurance and financial services companies to develop and execute strategies to be more competitive. He has extensive experience with growth strategy development, business and operating model design, transformation strategy and strategic cost reduction. Prior to joining the Accenture Sydney office in 2013, Ravi worked for Accenture in North America and was previously the management consulting insurance practice lead. Ravi holds a Bachelor of Science from Northwestern University and an MBA with a concentration in management and strategy from Northwestern University’s Kellogg Graduate School of Management.